1 CAR OFF-STREET PARKING, 7 1/2 YEARS ON TAX ABATEMENT. 3 or 4 Bedrooms. As you enter the tiled vestibule of this amazing home you are immediately struck by the incredible design, architectural detail and stylish finishes; such as: soaring 10' 9" ceilings, custom wide plank oak flooring, a custom designed staircase and railing, solid wood interior doors with lever handling and many more design details. The sun-filled kitchen includes an integrated refrigerator and Bosch dishwasher, and an oversized marble island with pendant lighting. The backsplash has thoughtfully placed under-cabinet lighting and concealed outlets. The stainless steel Jenn Air range/oven has a high efficiency downdraft maintaining the minimalist kitchen design. The half bath has a floating Krion sink with beautiful brass wall-mounted plumbing and tiled back wall. The second floor includes the spacious master suite, with a custom outfitted walk-in closet, wall-mounted double vanity with elegant wall-mounted faucets, Krion temperature-gauged soaking tub, frameless glass shower, and custom tiled walls. Travel down the hall into the office/den or private library space with a wall of french doors. On the 3rd floor, the front bedroom suite has a private bathroom with a large seamless glass shower and a bathroom closet for extra storage. Additional second large bedroom, full hall bath and 1 bonus room with closet and window could be a nursery, small child's bedroom, second office or yoga room. The stylish hall bathroom has a deep tub and is conveniently located between the two additional bedrooms. There is also a laundry closet plumbed for full sized stackable units. From the third floor, walk up the stairs to an oversized roof deck with exceptional city views. The finished basement completes this home with 9' ceilings, laundry room and ample storage space. In addition to the luxury finishes and custom architectural details throughout this home, you will find an energy efficient dual zoned HVAC system. 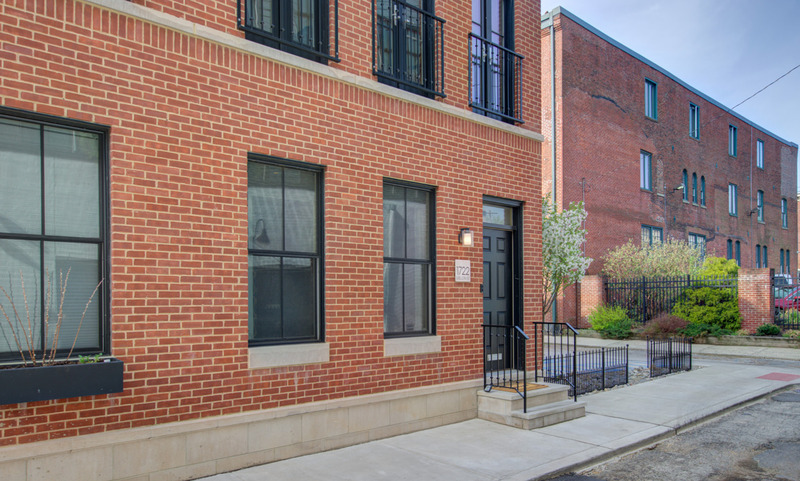 All this and more in a walk-to-everything location right off of Fairmount Ave close to the new Whole Foods, Target, numerous bars, restaurants and shopping, and just a few blocks from the Fairmount subway station.